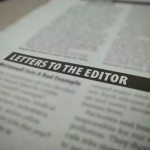 Great Neck residents “MTA’s Courtesy Campaign Fights Uphill Battle” (Eye On The Island by Mike Barry, June 10) face many daily challenges in our travels. As subway riders, we have to deal with conductors who close the doors while crossing the platform attempting to transfer from a local to the express train. Try looking for the proper way to depose of your old newspaper as more trash cans are removed from more stations. Riders have to deal with aggressive panhandlers, eating as if one is at home or restaurant, those hogging two seats, yawning, coughing or sneezing without covering up and the release of flatulence. Women are routinely accosted by gropers while perverts engage in other unhealthy sexual activities. Many have grown tired dealing with rats, mice and litter. The Metropolitan Transportation Authority should consider installing separate cans for recycling newspapers, plastic and glass along with regular garbage. Selling advertising on the side of cans could generate revenue to help cover the costs of more frequent off-peak and late-night collection and disposal. If asked, the New York City Department of Sanitation could do the same on the street adjacent to subway station entrances. The odds of finding a working safe clean bathroom for “relief” in time are limited. Until the early 1960s, most subway stations had clean, safe, working bathrooms with toilet paper. Revenues generated from a $.10 fee helped cover the costs. Why not consider charging a fee between $.25 and a dollar? That would generate revenue to assign a matron along with covering security and maintenance costs. This could help provide secure, fully-equipped bathrooms at most of the 465 subway stations. Many riders would gladly pay this small price to ensure working bathrooms rather than face the current unpleasant alternatives which contribute to dirty subways. Many have long since forgotten that up until the late 1960s, it was common to find both penny gum and $.10 soda machines dispensing products at many subway stations. It was a time when people respected authority and law. That generation of riders did not litter subway stations and buses leaving behind gum, candy wrappers, paper cups, bottles and newspapers. No one would openly eat pizza, chicken or other messy foods while riding a bus or subway.